According to the National Association of Home Builders, the economy is back on track, and economic growth will accelerate into next year. 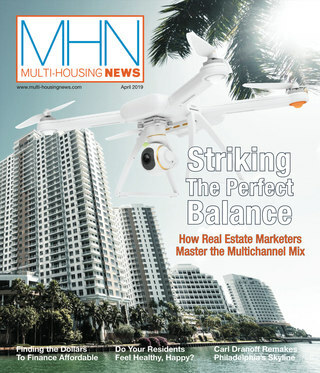 Will that mean the multifamily market will strengthen further? Washington, D.C.—The multifamily sector has experienced a strong resurgence in the past few years. Meanwhile, the economy appears to be catching up. According to the National Association of Home Builders (NAHB), the economy is back on track, and economic growth will accelerate into next year. 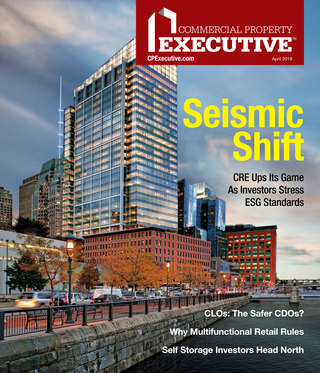 But will that mean the multifamily market will strengthen further? In an exclusive interview with MHN, Robert Denk, NAHB assistant vice president for forecasting and analysis, says that the economy is finally “seeing a recovery that you typically see after a deep recession.” The financial system has recovered, the labor payrolls have lately exhibited a series of gains, and inflation appears under control. Denk said he expects GDP growth to peak in 2015, and to float down thereafter to 2.8 percent by the end of 2016. A GDP expansion of 2.8 percent—which is still higher than the 2.5 percent long-term trend—would nevertheless be considered solid and sustainable, he said. NAHB forecasts that GDP growth rate will dip to 3.0 percent in this year’s fourth quarter, from the 3.5 percent in the third quarter preliminarily announced by the Department of Commerce. The association predicts that GDP will increase again to 3.6 percent in the first two quarters of 2015, and tick down to 3.5 percent in the third and fourth quarters next year. GDP rates will remain in the 3 percent range in the first three quarters of 2016. Economic growth and job creation would drive demand for rental housing, especially as Millennials “decouple” from sharing situations or living at home with their parents. Denk said that multifamily housing construction (five-plus units) has returned to its sustainable long-term level of about 350,000 units per year, and will be maintained at that level for the next few years. “We think a pace of around 350,000 starts is healthy and sustainable and supported by long-term demographics,” says Denk. The condominium share of multifamily housing starts, typically 20 to 25 percent, will remain at about 10 percent, due to condominium overbuilding during the last boom and the current increase in propensity to rent. NAHB forecasts that 2014 will see housing starts of 991,000 units, representing an increase of 6.6 percent from 930,000 units last year. The association predicts that this year’s 2.5 percent increase in single-family production will set the stage for a strong single-family production comeback next year, when single-family starts will zoom up by 26 percent to 802,000 units, before reaching 1.1 million in 2016. Pent-up demand from trade-up buyers will drive much of the increase in demand for single-family housing, says NAHB. Despite the strengthening of the economy going into next year, and expected high economic growth rates in 2016, Denk says that it is likely the apartment rent increases that have occurred in the past few years will taper off. He said he expected the annual rent increases to be at a level—about 2 percent—that will keep pace with inflation. Supply is catching up with demand after the economic collapse, while the excess demand over supply is being absorbed, he explains. Rental vacancy rates have fallen to the low- to mid-7 percent range, and remain above the historical average, Denk says. However, occupancies are not so tight as to sharply increase rents. And the single family rental stock, which expanded during the crisis, is still partly responsible for keeping up vacancies in rentals. Overall, the economy will undergo a “gradual acceleration” in 2015 and 2016, says Denk.